If this quarterback thing doesn’t work out, Tom Brady might have a future in the NFL as a punter. The New England Patriots star wasn’t having much success throwing the ball in the rain Sunday at Gillette Stadium, so, facing a third-and-32 in the third quarter against the Buffalo Bills, he reached deep down in the playbook and pulled out the old pooch punt. 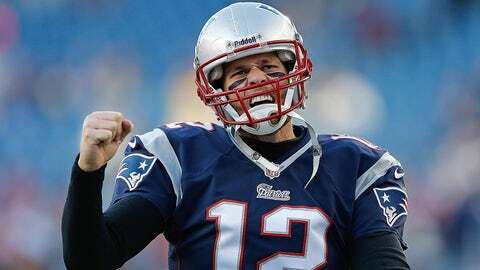 Brady kicked the ball 32 yards to the Bills’ 22, where Buffalo safety Jim Leonhard called a fair catch. While it was unusual to see Brady booting the ball, it wasn’t the first time he had done it. Brady also pooched the ball late in a blowout win over the Denver Broncos in the 2011 divisional playoff round, leading to an all-out brawl between the teams.